Gov. Michael J. Dunleavy and his administration have been extremely tight-lipped about just what’s in store for his budget that’s set to be released on Wednesday at 10:30 a.m., but select outlets got a preview of the budget over the weekend and there’s still, well, way more questions than answers. We now do know that Dunleavy’s “matching expenditures to revenues while also paying out a $3,000 dividend” budget will, indeed, rely almost entirely on budget cuts that will affect funding for K-12 schools, the University of Alaska and the state’s health care plan. “I will say there’ll be less funding for K-12 education,” Dunleavy told the Fairbanks Daily News-Miner after what appears to be plenty of badgering for any specifics on the budget. Dunleavy, of course, declined to put any numbers to his planned cuts to K-12 education funding and whether they would touch the base student allocation funding formula. The News-Miner was also able to extricate an admission from Dunleavy that his plan will include some sort of cut to the University of Alaska system. Again, no numbers. 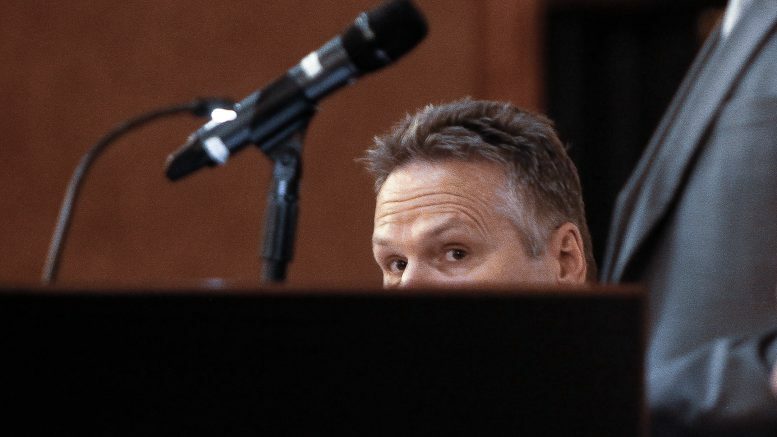 Dunleavy is firm, according to his interview with the Anchorage Daily News, that he will not entertain any changes to taxes whether it’s implementing a broad-based tax or repealing $1 billion to $1.2 billion in per barrel oil tax credits. He’s also insistent on paying out a $3,000 dividend, which will have a total cost of $1.9 billion (up from the $1 billion proposed under Gov. Bill Walker’s budget). The economic impact of such monumental cuts will be massive, UA Institute of Social and Economic Research economist Mouhcine Guettabi explains. Noting that a $1 billion cut would result in some 8,100 lost jobs. The ADN extrapolates from this, giving us nearly 13,000 jobs lost under the $1.6 billion of cuts. The ADN also points out that at a $400 dividend there is no deficit, but Dunleavy’s keen on putting downward pressure on the budget. This all comes at the time when the Dunleavy administration is finding new partnerships with private prison companies to run the state’s psychiatric hospital and pushing a criminal justice reform rollback that would grow the prison budget by an estimated $41 million by putting more people behind bars for longer. Dunleavy told KTVA he wasn’t particularly concerned about growth on that end. So there you have it. Less money for schools. Less money for the university. Less money for social safety net programs like Medicaid. More money for prisons. More money for dividends. We’ll see the rest on Wednesday at 10:30 a.m.
2 Comments on "Dunleavy in budget previews: ‘There’ll be less funding for K-12 education’"
Someone needs to start looking into the Blackwater River Correctional Facility debacle in Florida and the resulting FBI investigation. GEO Group with Donna Arduin sitting on the board was making donations that exceeded election laws in Florida and the company was making overtures to the Florida Speaker of the House. Now we are only a couple of weeks into the administration and we already have a no-bid kickback to guess who? Do these people forget that Google exists? Surprise, surprise. God forbid education be important, And tax credits for the oil companies stay right where they are.